Using some of the most up to date theoretical debates relating to sustainable development, this paper will explore the governance architecture of the surfing world. Employing notions of landscape, regimes and niches this paper maps the internal and external dynamic of a unique, evolving and until very recently very insular industry. The paper will move from the global perspective, the landscape, exploring the emerging and embedded trends that shape our social, political, environmental and economic frames to the contextual and local innovations that are challenging these dominant discourses. The paper will articulate these theoretical debates by drawing on over three years of empirical research and present a number of interrelated case studies, presented for the first time. Drawing on these insights the paper will significantly move debates around sustainable development forward. It will also present invaluable insights for multiple organisations and individuals interested in transitioning towards sustainability. This will include surfing business big and small. The United Nations – Discursive representations of sustainable development within the United Nations. The role of supranational organisations and global governance remains a consistent thread throughout his work. Town and Parish Councils – making connections between the supranational and the local discourses of sustainable development and the impact this has on local governance structures are explored. The focus of this is on all town and parish councils throughout Devon and Cornwall. 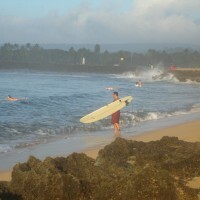 Surfing – Greg is currently exploring the role of sustainable development within the surfing world. His work has accessed discourses on a multisectoral basis from leading industry figure to NGOs to local communities.